The audited ABC circulation figures for consumer magazines were released yesterday. Most magazines posted circulation drops or minimal growth of just one or two percent. However, boosted by the Olympics and a Brit winning the Tour de France in 2012, bike magazines bucked the trend. 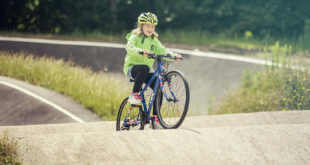 IPC’s Cycle Sport posted the most impressive gains of any consumer magazine, putting on nearly 30 per cent circulation growth year-on-year, though this figure now includes worldwide sales in addition to UK and ROI numbers. The ABC figures are for July to December 2012. Haymarket’s Four Four Two football magazine saw a drop in circulation of 12.3 per cent year-on year. IPC Inspire’s cycling portfolio saw year-on-year total print circulation increases. 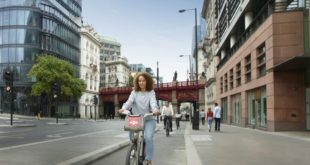 Cycling Weekly enjoyed a 5.2 percent increase to take its total print ABC to 28,834; Cycling Active, which posts a total print ABC of 25,004, saw an increase of 13.3 percent; and Cycle Sport posted a total print ABC of 21,495, growth of 29.5 percent year-on-year (or 12,490 in UK and ROI). Future’s Cycling Plus grew by 1.4 percent to post average monthly print circulation of 45,626. Mountain bike magazines saw a rise in circulation too – if you take into account print and digital (see note at the foot of the page). MBUK’s circulation rose 3.4 per cent, said Future, with digital picking up the slack – print was down two per cent to an average of 38,701 a month while digital readership rose to an average of 2,775 (34,611 print and 1,434 digital in UK and ROI). What Mountain Bike (WMB) rose 10.3 per cent, Future told us. Print was down one per cent to 13,870, digital up to 2,204 (or for the UK and ROI 12,547 print and 825 digital). 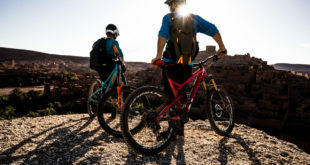 Mountain Bike Rider (MBR) dropped significantly, down 16 percent to 23,679 (22,727 in the UK and ROI) – no stats on any digital edition were available. Future’s Cycling Plus grew by 1.4 percent to post average monthly print circulation of 45,626. However, publishers such as Future have made huge strides in making their titles available digitally. Nearly nine percent of the subscriptions to Cycling Plus are now digital, which takes this monthly road title to a monthly average circulation of over 50,000. Cycling Plus Editor Rob Spedding told BikeBiz: "We’re thrilled to see the road cycling sector continue to grow. Cycling Plus is certainly holding it’s own and that’s despite some fresh competition on the market. Print and digital figures combined sees our circulation break through 50,000 for the first time and we’re incredibly pleased about that. It’s encouraging to see digital sales increase by over 300 per cent in the past year too, which shows the consumers are increasingly tech savvy." UPDATE: We’ve changed the original news story in view of the fact we omitted to mention that ABC now includes digital with print circulation in its audited figures – and to ignore this would be to ignore the digital readership of a magazine. According to Cycling Plus, MBUK and WMB publisher Future: "Last year publishers were allowed to quote both numbers but not a combined figure, that has changed this year and we are able to quote a combined figure." Therefore we’ve amended the story to shed more light on the media landscape.